Dodgers pitcher Clayton Kershaw, pictured at a February spring-training game, is the highest-paid player in baseball this year while the team carries the league's highest payroll. 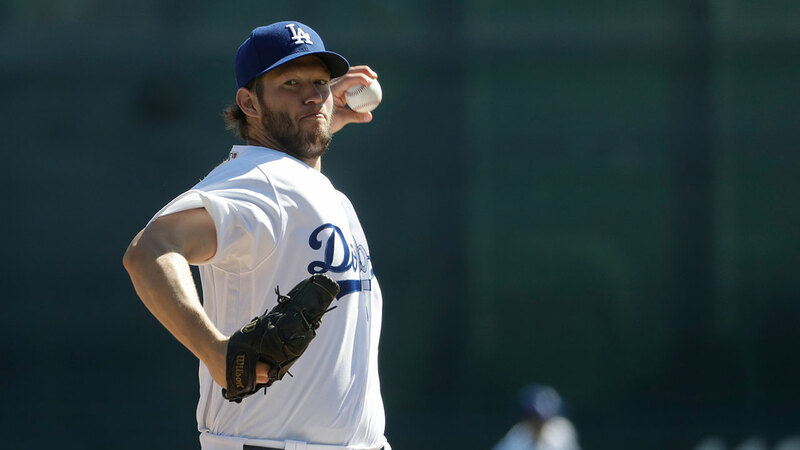 LOS ANGELES -- The Los Angeles Dodgers topped the major leagues with the highest payroll for the fourth straight opening day, while pitcher Clayton Kershaw was the highest-paid player in baseball, according to a study by The Associated Press. The Dodgers' overall payroll amount actually dropped, to $225 million, its lowest since 2013 but still enough to keep Los Angeles at the top of the list. This opening day also marked the first time in nearly a quarter-century the New York Yankees aren't among baseball's top two payrolls, making cuts along with some other traditional big spenders. Detroit was second at $199.75 million and the Yankees, in the midst of a turn toward youth, third at $195 million. The Yankees had not been outside the top two since 1993, and their opening-day payroll had not dropped this low since 2007, according to the AP's calculations. New York topped opening-day payrolls from 1999-2013 before falling behind the Dodgers each year since 2014. "It's kind of a different feel than when I came up. It's got a lot more younger look to it," said Yankees catcher Austin Romine, a member of the organization since he was drafted in 2007. "It's interesting. It's refreshing. It's nice to see young guys getting chances." The $4.51 million average salary for major leaguers on opening day was up 1.6 percent from last year's average of $4.38 million, the lowest rise since 2011. It followed an offseason with a relatively weak free-agent class in which just one player topped $100 million - New York Mets outfielder Yoenis Cespedes. "There are indeed many factors that feed into the numbers every year, and therefore conclusions should not be drawn against any one particular offseason," union head Tony Clark said Sunday. "The total percentage of MLB revenue that clubs pay to players has remained relatively stable," said Dan Halem, Major League Baseball's chief legal officer. "Reducing the amount of payroll disparity is certainly the goal of many provisions of the collective bargaining agreement, but we evaluate the system based on multiyear trends rather than a single year's experience." Many teams in the middle or near the bottom of last year's list had big boosts. The usually frugal Miami Marlins jumped from $77 million to $120 million, and AL champion Cleveland from $90 million to $126 million. Others with sizeable steps up included Texas ($149 million to $173 million), Washington ($147 million to $165 million), Baltimore ($146 million to $164 million), the New York Mets ($138 million to $156 million), Colorado ($113 million to $128 million), Atlanta ($99 million to $126 million) and Houston ($95 million to $122 million). Following their first World Series title since 1908, the Chicago Cubs hiked spending by $7 million to $177 million, that after a $51 million rise going into 2016. Cutting teams in the midst of rebuilds included the Chicago White Sox (from $115 million to $100 million) and San Diego ($101 million to $61 million). Just $34.6 million of the Padres' total was for players currently with the team. Milwaukee was last for the second straight season, at $60.8 million. At $33 million, Los Angeles Dodgers pitcher Clayton Kershaw topped salaries for the third straight year. He was followed by Arizona pitcher Zack Greinke ($31.9 million), injured Boston pitcher David Price ($30 million), Detroit pitcher Justin Verlander ($28 million) and Tigers first baseman Miguel Cabrera ($28 million). MLB's median salary, the point where an equal number of players earn above and below, remained at $1.5 million, down from $1.65 million at the start of the 2015 season. Average and median salaries decline over the course of the season as veterans are released and replaced by younger players making closer to the minimum, but this year's final average is set to top $4 million for the first time. The players' association calculated last season's final average at $3.97 million, about $130,000 more than Major League Baseball's figure. The AP's figures include salaries and prorated shares of signing bonuses and other guaranteed income for players on active rosters and disabled lists plus Mets pitcher Jeurys Familia, who is suspended without pay for the first 15 games under baseball's domestic violence policy but will then draw the rest of his salary, which amounts to nearly $6.7 million. For some players, parts of deferred money are discounted to reflect current values.